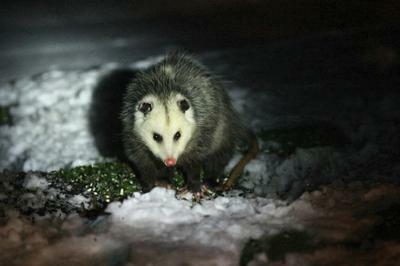 This mature male Virginia Opossum has been visiting our bird feeders almost every evening all winter. With Spring only a few days away, we decided to attempt a night time photo in case he decides to move on to new territory in search of a mate. He is a handsome fellow, thank you for sending us this report and picture!